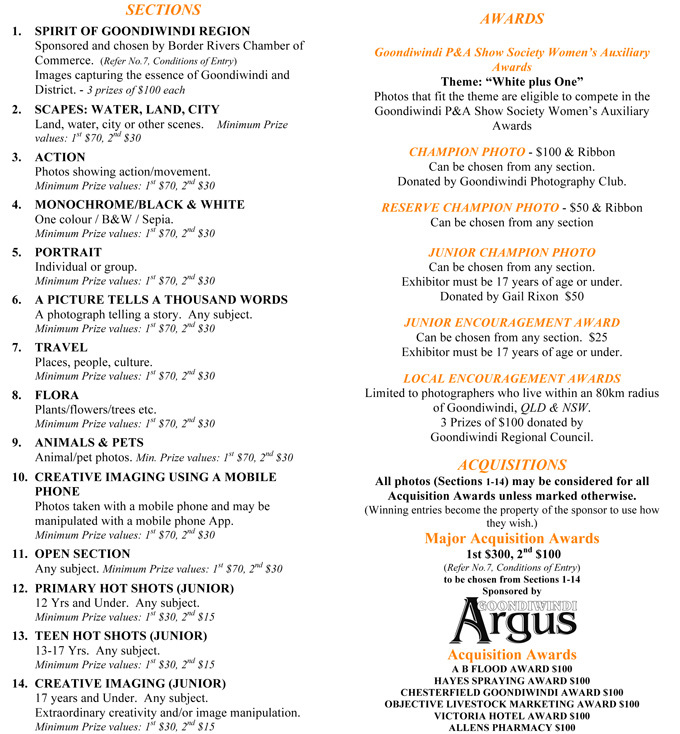 We have been to Goondiwindi before as their local camera club hosted the South East Queensland Association of Camera Club’s conference in 2011 for passionate amateurs to connect and learn about their chosen hobby. 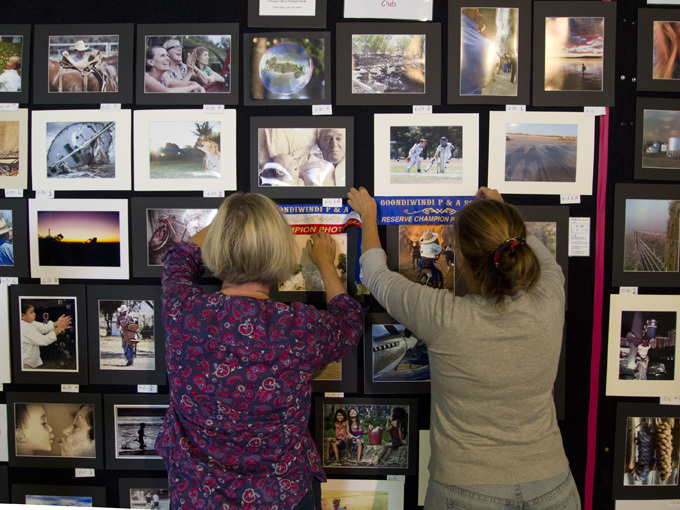 This time we were at ‘Gundy’ to judge the P&A Show Society’s 2013 Photography Section. The organizing team are an energetic, cheerful and professional group of people who carry out their duties as a service to the local community. When we arrived all 424 images were already installed on the portable screens. A welcoming cup of tea and Janet’s delicious homemade orange cake refreshed us after our two-hour drive from Toowoomba. Then all we had to do was to judge the 14 categories, the grand champions and the encouragement award winners. This was an enjoyable task as the images were delightful mix of landscapes, action, animals, humour, travel, poetic and abstract images. Although there were interesting images of travel, urban spaces, people and places some of the strongest images were found in the sections landscape, ‘a picture tells a thousand words’ and the youth categories. 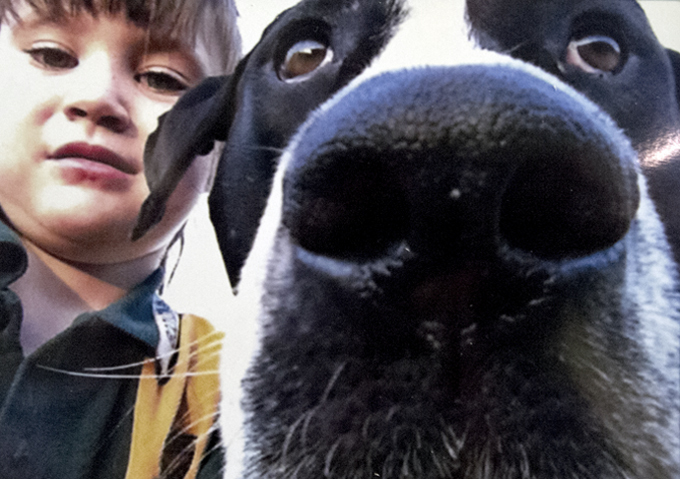 Images taken of their own environment, local people and animals communicated the desire to share and record their own stories. This made our task challenging but more rewarding as we encountered these images. 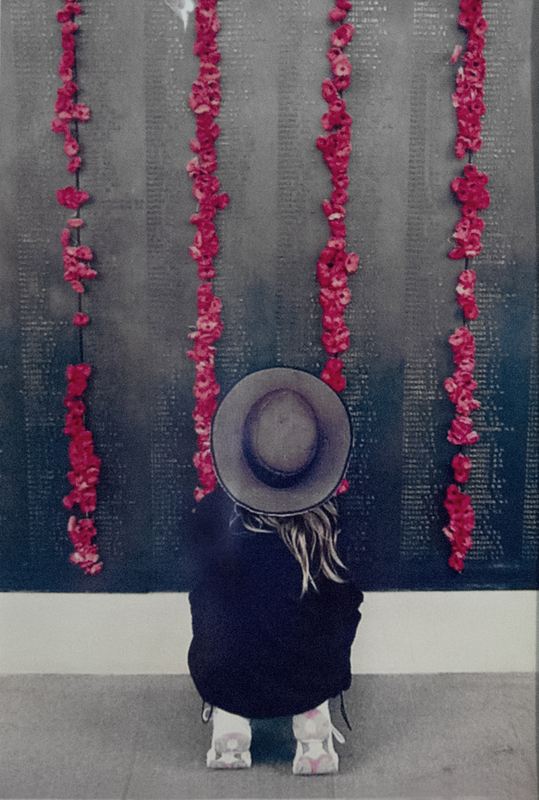 Some images were amazing: a fish, firmly grasped by a cormorant bites on its captors neck, a young girl fires-off a shotgun, old blokes sit on a park bench in the sun, a huge irrigation sprinkler glistens backlit by the morning sun and a young girl kneels before a poppy studded war memorial. There is a visual calisthenics required to be a judge in this competition. What was evident was a passion for photography and a quality, both technical and conceptual, that would match anything seen from their city cousins. 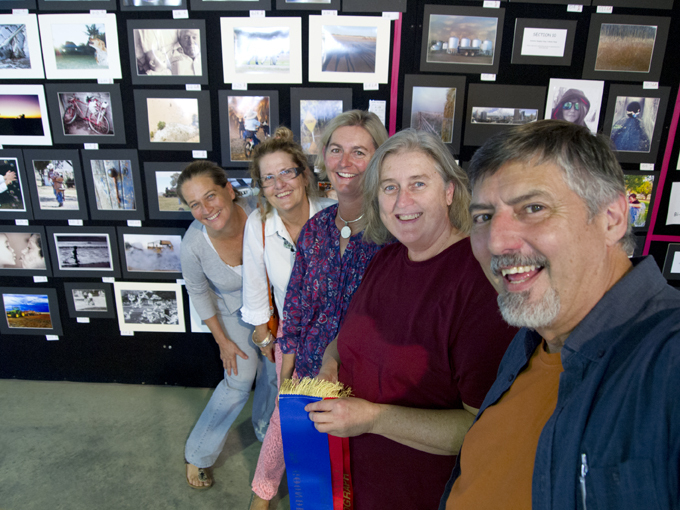 The Grand Champion photograph was by Rick Kearney and was entitled Flood victims. 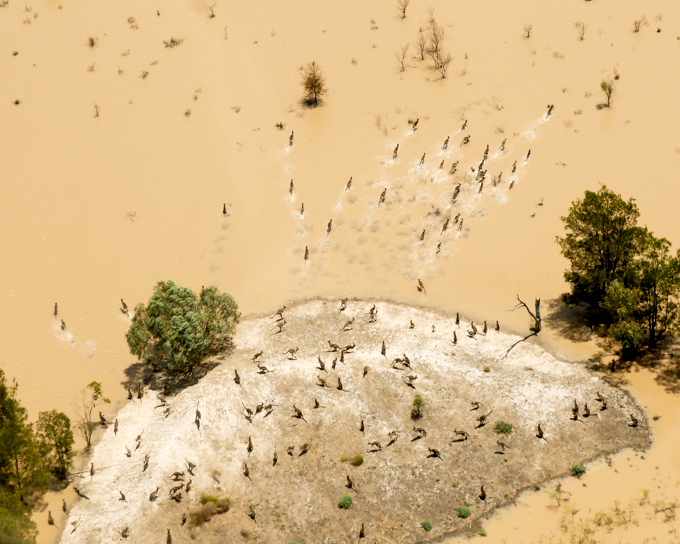 The photo was made from a helicopter during the floods and shows an island surrounded by water on which 80 or more kangaroos had taken refuge–the helicopter has startled the mob and they have taken off in all directions. The photograph captures this frenzied dash from these isolated animals. Thanks to the Goondiwindi team of Janet, Michelle and Mandie and the photography community for sharing their creativity and vision with us and the hospitality extended to us during our visit. Victoria Cooper and Doug Spowart.